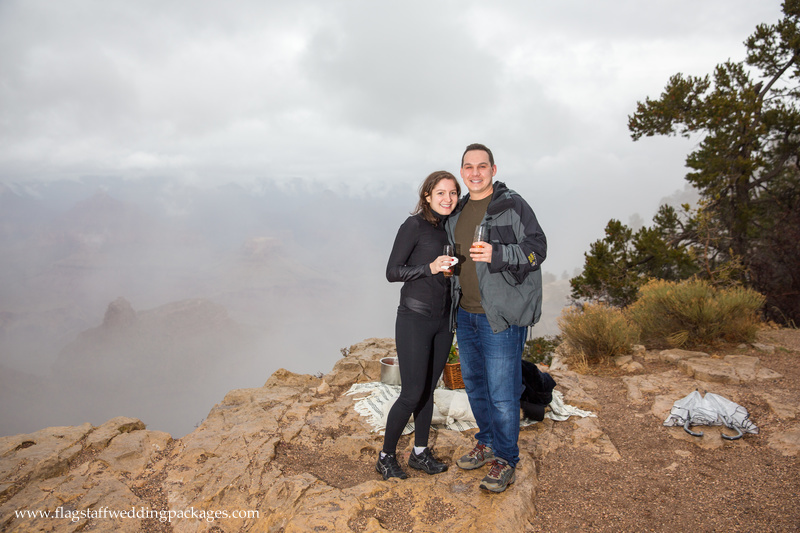 Congratulations to Jessica and Aaron on their engagement at the Grand Canyon! 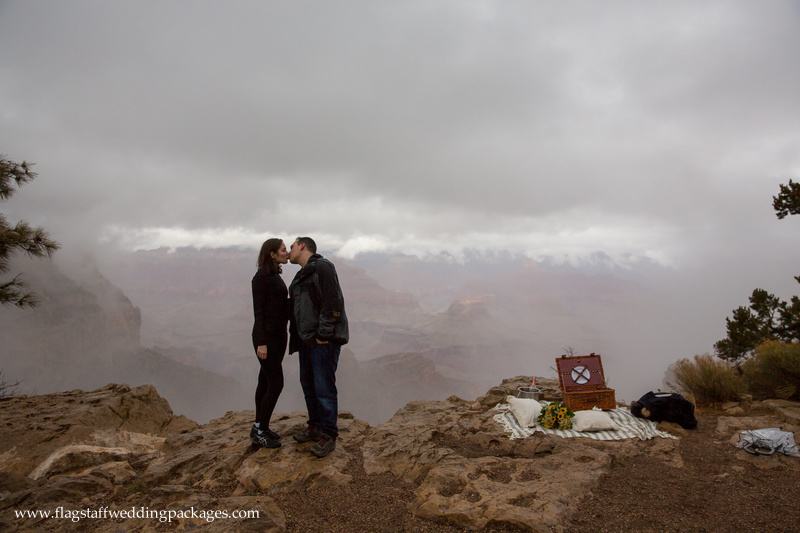 Jessica had never been to the Grand Canyon before so Aaron thought it would be a spectacular place to propose. 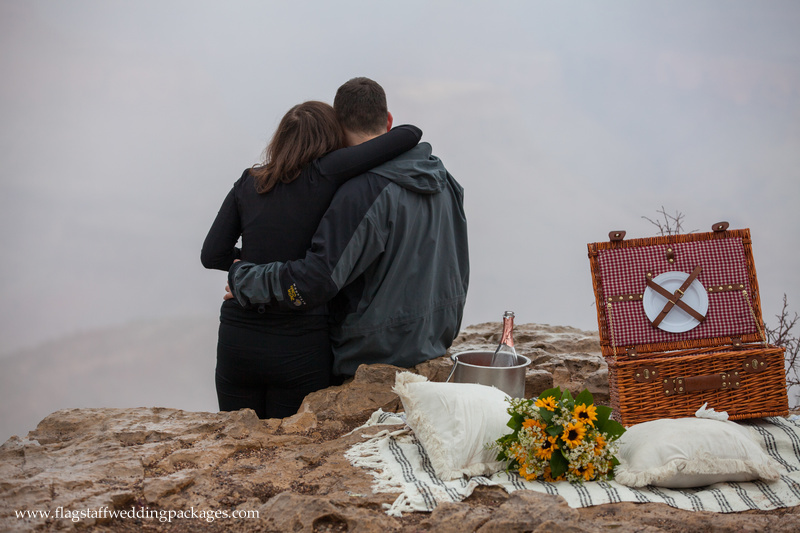 We set up a picnic on the edge of the canyon for them to enjoy. 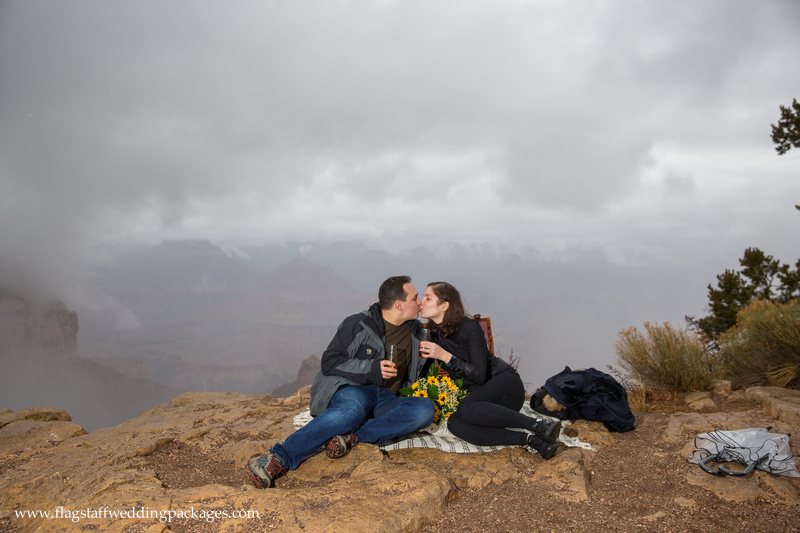 When Aaron was gearing up to propose he got dangerously close to the canyon edge, we almost ran to his rescue! He decided that he wasn’t in the greatest spot to kneel so he moved a safer distance from the edge. Whew! 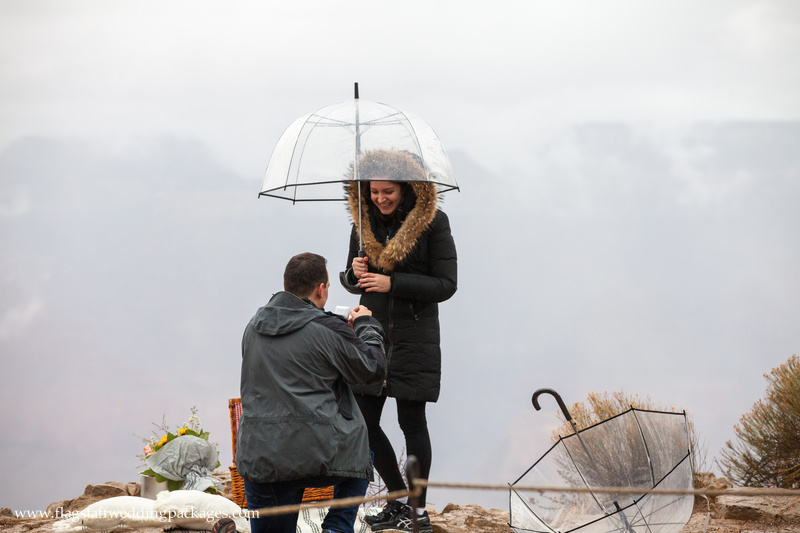 When he did pop the question, she said yes! They were so excited that even the rain didn’t stop them from enjoying the rest of their picnic. Here are some of our favorite photos from the day!